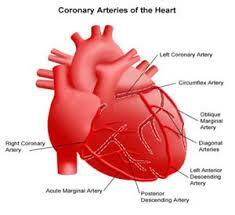 Cardiology is defined as the branch of medicine that deals with diseases and abnormalities of the heart. Heart ailments have become quite common so hospitals and health care institutions from all over the world are providing heart care services, but no one can beat Cardiology Treatment in India as the healthcare service here is not only cost effective and reliable, but also the success rate is very high. Viezec offers a complete cardiology treatment in Delhi NCR, and the heart surgery packages offered by it are modest in price. Our package covers from heart Surgery to hospitalization and complete stay in India. Patient care, post-operative medical consultancy with complete healthcare advice is also ensured from our end. Diagnosis and treatment procedures are available for all kinds of heart disorders, including heart failure, congenital heart defects, coronary artery disease, electrophysiology and valvular heart disease. With the passage of time, heart surgery and cardiology treatment in Delhi NCR, India has become common, as the success rate of the treatment is very high and the cost is comparatively lower than the peers. Our Cardiovascular Centers of Excellence use the most advanced diagnostic and treatment techniques and are well equipped by an experienced team of Board-certified cardiologists and cardiac surgeons to ensure exceptional results. The healthcare service providers have an outstanding track record of diagnosing, treating, and preventing heart, cardio and vascular disease. Excellent outcomes give our patients an opportunity to live longer and enjoy life with dignity. Abdominal or thoracic aortic aneurysm, an abnormal bulge in a damaged wall of the aorta in the chest area, is a common heart problem, which can cause a variety of symptoms. In fact, sometime it becomes life-threatening. Timely diagnosis and treatment of a thoracic aneurysm is necessary; otherwise it may become life threatening. People from all over the world contact us to get high quality and genuine treatment. Viezec works in association with a number of reputed Cardiology hospitals in India and institutions of the country. Also known as cardiac transplant, heart transplant is a surgical transplant procedure performed on patients with an end-stage heart failure or coronary artery disease. 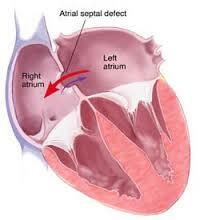 In the procedure, the damaged or diseased heart is replaced it with a healthy donor heart. Cardiology treatment in India is considered as one of the most complex procedures in the world, but Indian healthcare services providers have made it easy and affordable with professional cardiology specialists in India. Generally, heart valve replacement is an open heart operation, where the surgeon operates on the chest and heart of the patient to remove the damaged valve and sometimes a new artificial (prosthetic) valve is sewn into place. 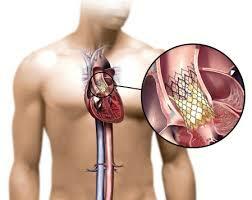 This procedure is handled with utmost care by cardiology specialists in India. With the passage of time, the medical technology has improved, now the doctors can replace a valve without operating on the chest. Also, known as minimally invasive surgery, the procedure involves placing the new valve through a small incision near the “breastbone” or under your right chest muscle. 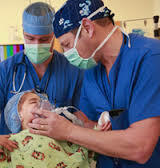 Pediatric Cardio-thoracic Surgery is a medical procedure that deals with heart defects and issues among st the children. These defects may have persisted and stayed in the child’s body since the time of birth. With the age comes complexity that are different from an adult body. Cardiology hospitals in India have Become a doorway to outstanding clinical practice, gaining the trust of patients. India has hospitals that are well equipped with improved and latest tools and surgical techniques specific to Pediatric Cardio-thoracic Surgery. The form of Heart surgery that involves robotic assistance in order to perform very minute and small incisions through the chest. The cardiology hospitals in Delhi NCR utilize the capability of robotic devices, this aids the experienced surgeons to perform the surgery with ease and utmost precision. Robotic surgeries involve the surgeon handling the instruments and controls sitting in an operating room. This technology is capable of adeptly taking care of heart-related procedures like coronary artery bypass, cardiac tissue ablation, and tumor removal. Cardiology specialists in India perform this complex procedure with ease and cause less scarring and pain than the usual. Viezec is your trusted healthcare consultant offering a myriad of services and benefits, from arranging for the visa to handling accommodation and appointment with best in-class hospitals and specialists. In addition, Viezec vows to take utmost care while selecting the medical facility for your specific need. We ensure that our patients from all over the world have a safe stay and get treated at a modest price. We offer both before and after treatment care and proper specialist care to the patient.